These Enterprise Terms of Service set forth the terms and conditions pursuant to which InVisionApp, Inc. ("InVision”) provides to the Customer set forth on the Order Form referencing these terms (“Order Form”) (collectively, the “Enterprise Terms of Service”) the services set forth on the Order Form, including without limitation any tools, features, Content, templates, platform or applications made available by InVision in connection therewith (the “Enterprise Services”). Please read these Enterprise Terms of Service fully and carefully before using any of the Enterprise Services. BY ENTERING INTO AN ORDER FORM, YOU ARE HEREBY REPRESENTING AND WARRANTING THAT YOU ARE AUTHORIZED TO BIND CUSTOMER. THE USE OR CONTINUED USE OF ANY PORTION OF THE ENTERPRISE SERVICES BY CUSTOMER OR ANY OF ITS AUTHORIZED USERS SHALL CONSTITUTE ASSENT TO THESE ENTERPRISE TERMS OF SERVICE. IF YOU DO NOT UNCONDITIONALLY AGREE TO ALL OF THE TERMS OF THESE ENTERPRISE TERMS OF SERVICE, YOU WILL HAVE NO RIGHT TO USE THE ENTERPRISE SERVICES. IF THESE TERMS ARE CONSIDERED AN OFFER, ACCEPTANCE IS EXPRESSLY LIMITED TO THESE TERMS TO THE EXCLUSION OF ALL OTHER TERMS. Please note: if you have signed an Order Form with InVision dated prior to May 18, 2018, then such version of the terms, available here, shall continue in effect until your next subscription renewal, at which time this version of the Enterprise Terms of Service shall be effective. Please note: if you have executed a separate written agreement with InVision regarding your use of certain of our Enterprise Services, then that agreement, and not these Enterprise Terms of Service, applies to those Enterprise Services. Eligibility. Customer represents and warrants that (a) any individual using Customer’s Account (defined below) or otherwise accessing the Enterprise Services on Customer’s behalf is at least 18 years of age and (b) Customer’s use of the Enterprise Services shall (i) be in compliance with all applicable laws, rules and regulations and (ii) not conflict with or violate any other agreement to which Customer is a party. Registration. To use the Enterprise Services, Customer must register for an account on the Enterprise Services (an “Account”). Customer must provide accurate and complete information for Customer’s Account and keep all such Account information updated. Customer may create additional user accounts in connection with Customer’s Account for any individuals who are authorized by Customer to use the Enterprise Services, such as Customer’s employees, consultants, contractors and agents, and third parties with which Customer transacts business, up to the number of seats or users indicated on an applicable Order Form (each such user, an “Authorized User”). Please note that each Authorized User refers to one natural human. Customer shall designate one User for each seat it purchases (and may reassign such seat to a new individual replacing one who no longer uses the Enterprise Services). Customer shall not permit more than the authorized number of Authorized Users to use Customer’s Account in any manner, and shall not, nor shall Customer permit any of its Authorized Users, to share any access credentials for the Enterprise Services with any other individuals or entities. Customer is solely responsible for the activity that occurs on Customer’s Account, including on Authorized User Accounts, whether or not authorized, and for keeping all access credentials associated with Customer’s Account, including Authorized User Accounts, secure. Customer shall promptly notify InVision of any breach of security or unauthorized use of Customer’s Account. Authorized Users may have the ability to invite other users to their teams, unless Customer’s Account settings restrict this functionality. We will provide Customer with periodic updates of its list of active Authorized Users, and Customers may request this list from us. Content. “Content” means information, data, text, fonts, photographs, videos, audio clips, written posts and comments, software, scripts, graphics, and interactive features generated, provided, or otherwise made accessible on or through the Enterprise Services. As between the parties, all Content, except for Customer Data (as defined below), is owned by InVision or its licensors. Subject to these Enterprise Terms of Service, InVision (i) grants to Customer a worldwide, non-exclusive, non-sublicensable, and non-transferable license to use (i.e. to download and display locally) Content solely for purposes of using the Enterprise Services for Customer’s internal use. Restrictions on Use of the Enterprise Services. Customer shall not directly or indirectly (i) sell, license, sublicense, distribute, copy, rent or lease the Enterprise Services, or include the Enterprise Services in a service bureau, time-share outsourcing offering or otherwise make the Enterprise Services available to, or use the Enterprise Services for the benefit of, any third party, or transfer any of the rights received hereunder; (ii) interfere with or disrupt the integrity or performance of the Enterprise Services or any third party data contained therein or attempt to gain unauthorized access to the Enterprise Services or its related systems or networks; (iii) copy, modify, translate or create derivative works based on the Enterprise Services or any underlying software or any part, feature, function or user interface thereof, including by framing or mirroring any part of any Enterprise Services or any Content; (iv) access or use the Enterprise Services for benchmarking or similar competitive analysis purposes or in order to build a competitive product or service; (v) decompile, disassemble, decipher or reverse engineer the Enterprise Services, or otherwise attempt to derive any source code or underlying ideas or algorithms of any part of the Enterprise Services, (except to the extent such restriction is prohibited by applicable statutory law); (vi) remove any copyright notices, information and restrictions contained in the Enterprise Services or any Content; (vii) bypass, circumvent or attempt to bypass or circumvent any measures InVision may use to prevent or restrict access to the Enterprise Services (or other accounts, computer systems or networks connected to the Enterprise Services) or take any action that imposes or may impose (as determined by us in InVision’s sole discretion) an unreasonable or disproportionately large load on InVision’s (or InVision’s third party providers’) infrastructure; (viii) use manual or automated software, devices, or other processes to “crawl” or “spider” any page of the Enterprise Services; or (ix) otherwise take any action in violation of InVision’s guidelines and policies, including these Enterprise Terms of Service. Availability. InVision is not and will not be responsible or liable for any failure in the Enterprise Services resulting from or attributable to (i) Customer Data or failures to deliver Customer Data to InVision; (ii) failures in any telecommunications, network or other service or equipment outside of InVision’s facilities; or (iii) any force majeure or other cause beyond InVision’s reasonable control. InVision does not guarantee that the Enterprise Services or any Content will be available, or that any Content that is available is or will continue to be accurate. InVision reserves the right, but does not have any obligation, to remove, edit, modify or block access to any Content in its reasonable discretion, at any time, without notice to Customer. Proprietary Rights. 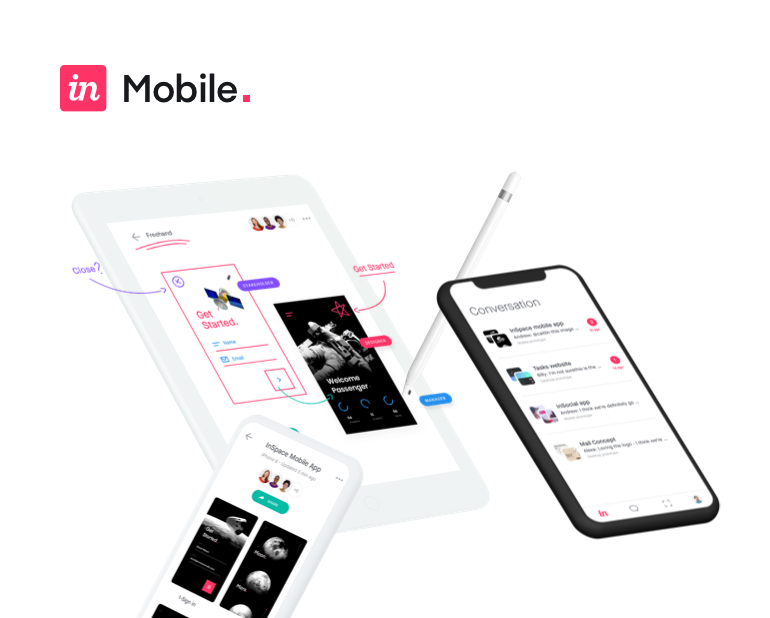 As between the parties, all right, title and interest in and to the Enterprise Services and Content, and all copies, modifications and derivative works thereof is and will remain the sole and exclusive property of InVision. Except as expressly set forth herein, no license or other right, title or interest in the Enterprise Services or Content is granted by InVision to Customer. Definition. “Customer Data” means any and all electronic data, Content and information submitted to the Enterprise Services by Customer or by a third party on Customer’s behalf. Customer retains all of its rights to its Customer Data. License to Customer Data. Customer hereby grants InVision a non-exclusive, worldwide, royalty-free, fully paid-up right and license to use, copy, access, process, reproduce, perform, display, modify, distribute and transmit Customer Data solely in connection with providing the Enterprise Services to Customer. Customer acknowledges and agrees that (i) the quality of the Enterprise Services depends on the uploading or other provisioning of the Customer Data into the Enterprise Services and (ii) InVision will not assume any responsibility for, or undertake to verify, the accuracy or completeness of the Customer Data. Representations and Warranties. Customer represents, warrants and covenants that (i) all Customer Data has been collected and provided in accordance, and is compliant with all applicable laws, rules and regulations; (ii) Customer owns all rights, title and interest in and to the Customer Data, or has otherwise secured all necessary rights in the Customer Data, as may be necessary to permit the access, use and distribution thereof as contemplated by these Enterprise Terms of Service; (iii) Customer shall only use the Enterprise Services in accordance with all applicable laws, rules and regulations, these Enterprise Terms of Service and any relevant documentation provided by InVision; and (iv) Customer will not, and will not permit any third party, to upload, download, post, submit, provide, transmit, distribute or otherwise make available to or through the Enterprise Services any Customer Data that (A) is unlawful, infringing, deceptive, fraudulent, invasive of another’s privacy, tortious, obscene, or that otherwise violates any other right of any third party, including any intellectual property, proprietary or privacy rights, or that is otherwise inappropriate, as determined by InVision in its sole discretion; (B) contains any viruses, code, files or programs designed or intended to disrupt, damage, limit or interfere with the proper function of any software, hardware, or telecommunications equipment or that is or can be otherwise malicious or disruptive; (C) constitutes unauthorized or unsolicited advertising, junk or bulk e-mail (“spamming”) or otherwise violates federal CAN-SPAM regulation; or (D) contains any personally identifying information subject to specialized security regimes including without limitation the Health Insurance Portability and Accountability Act (“HIPAA”), and the standards promulgated by the PCI Security Standards Council (“PCI”). Customer acknowledges and agrees that InVision is not a “Business Associate” under HIPAA, and Customer will not provide any protected health information to InVision. Customer will not provide InVision with any personally identifying information except for Authorized User information as necessary to allow Authorized Users to access the Enterprise Services as set forth in these Enterprise Terms of Service. Customer is responsible for complying with CAN-SPAM, including without limitation for supplying an “Unsubscribe” link in any emails required to include such link. Payment. Customer shall be responsible for and shall pay to InVision the fees set forth in the applicable Order Form (“Fees”) in accordance with the terms and conditions contained therein. Customer shall pay all invoices within thirty (30) days of the date of invoice. If Customer’s actual usage exceeds the subscribed-for amount indicated in an Order Form, Customer shall be responsible for paying the applicable overage charges. 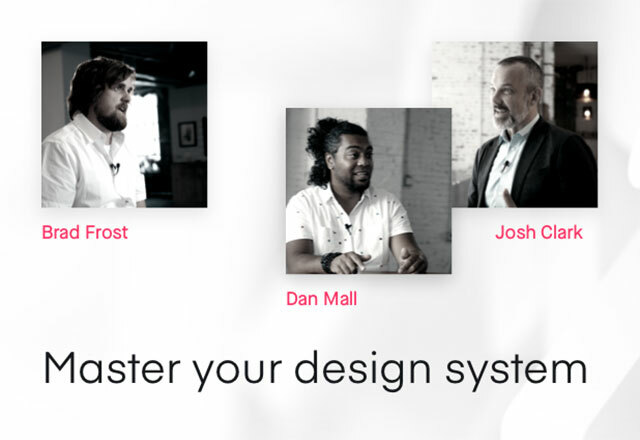 InVision may periodically review Customer usage and invoice for any overages. All amounts are stated in, and shall be paid in, U.S. dollars. Taxes. All Fees are exclusive of taxes, duties, levies, tariffs, and other governmental charges (including, without limitation, VAT) (collectively, “Taxes”). Customer shall be responsible for paying all Taxes associated with the Services (without any offset or deduction to the fees paid to InVision) other than U.S. taxes based on InVision’s net income. Credit Card Payment. To the extent the option is made available to Customer through the Enterprise Services, Customer may elect to have the Fees paid through automatic deduction from a credit card or other similar payment method (“Credit Card”). If Customer elects to pay via Credit Card, Customer hereby authorizes InVision to charge the account associated with Customer’s chosen Credit Card for the applicable Fees through InVision’s third party payment processor. Late Fees. Unpaid invoices or payment obligations are subject to a finance charge of 1.5% per month on any outstanding balance, or the maximum permitted by law, whichever is lower, plus all expenses of collection. Unpaid debts will be reported to all available credit reporting agencies. No Refunds. Payment obligations are non-cancelable. Except as expressly set forth in these Enterprise Terms of Service, InVision will not, under any circumstances, issue refunds or pro-rate any Fees for early cancellation or termination of the Enterprise Services, or for any other reason, including for any unused Enterprise Services or if Customer’s actual usage of the Enterprise Services falls below the purchased amount applicable to Customer’s subscription level for the Enterprise Services. Subscription quantities cannot be decreased during the relevant subscription term. Chargeback Policy; Disputes. Customer must promptly contact InVision for any disputes related to Customer’s Account. InVision has a zero tolerance policy for chargebacks. Any customer who disputes a Credit Card payment that is found to be valid will be permanently banned from use of any and all InVision services. Free Trials and Other Promotions. Any free trial or other promotion that provides access to the Enterprise Service must be used within the specified time of the trial or promotion in order for Customer to avoid being charged the Fees associated with the relevant service or feature offered in the promotion. Feedback. At all times InVision will have the unrestricted right to use and act upon any suggestions, ideas, enhancement requests, feedback and recommendations you provide specifically relating to the features, functionality and performance of the Enterprise Services. Term. These Enterprise Terms of Service commence on the date listed in the first Order Form executed by the parties (“Effective Date”) and continue in effect through the duration of all Order Forms issued hereunder, unless terminated earlier in accordance with the terms of this Section 7. The term of each subscription is set forth in the applicable Order Form. Except as otherwise specified in an Order Form, subscriptions will automatically renew for additional one (1) year periods, unless either party gives the other party notice of non-renewal at least thirty (30) calendar days before the end of the relevant subscription term. Fees for a specific Enterprise Service will not change during a current subscription term (except for the assessment of any fees for overages or additional usage). Furthermore, Fees for a specific Enterprise Service received by a Customer will not change for such Customer’s subsequent renewal unless InVision gives Customer prior written notice thereof, with such change being effective as of the first day of the immediately following renewal term. Termination. If either party materially breaches any of its duties or obligations under these Enterprise Terms of Service or an Order Form, and such breach is not cured within thirty (30) calendar days of the non-breaching party providing the breaching party of written notice of the breach, the non-breaching party may terminate these Enterprise Terms of Service or the applicable Order Form, as applicable. Effect of Termination. Upon termination or expiration of these Enterprise Terms of Service, all provisions of these Enterprise Terms of Service which by their nature should survive termination or expiration shall survive such termination or expiration, including provisions regarding ownership, aggregate data use, payment (to the extent any payment obligations remain outstanding), warranty disclaimers, indemnity and limitations of liability. Customer Data After Termination. Termination or cancellation of Customer’s Account by either party may result in the forfeiture and destruction of all information and data, including Customer Data, associated with Customer’s Account. Upon Customer’s request, upon termination, InVision shall promptly delete or destroy all copies of Customer Data in InVision’s systems or otherwise in InVision’s possession or control (or transfer such data to a non-Enterprise InVision account), unless not reasonably feasible due to technical limitations e.g. feature incompatibility), unless legally prohibited. InVision reserves the right, including after termination, to access, read, preserve, and disclose any information, including without limitation Customer Data, as InVision reasonably believes is necessary to (i) satisfy any applicable law, regulation, legal process or governmental request; (ii) enforce these Enterprise Terms of Service, including investigation of potential violations hereof; (iii) detect, prevent, or otherwise address fraud, security or technical issues; (iv) respond to user support requests; or (v) protect the rights, property or safety of InVision, InVision’s users and the public. Fees Due or Refunds Upon Termination. In the event of termination, Customer shall pay InVision all Fees due for the entire subscription period, unless Customer terminates due to InVision’s material breach in accordance with Section 7.b, in which case InVision will refund to Customer a pro-rated amount of the prepaid fees for Enterprise Services not provided under the applicable Order Form(s) as of the termination effective date. Definition of Confidential Information. “Confidential Information” means all information disclosed by a party (“Disclosing Party”) to the other party (“Receiving Party”), whether orally or in writing, that is designated as confidential or that reasonably should be understood to be confidential given the nature of the information and the circumstances of disclosure. Customer’s Confidential Information includes Customer Data, InVision’s Confidential Information includes the Enterprise Services and Content, and Confidential Information of each party includes the terms and conditions of all Order Forms (including pricing), as well as business and marketing plans, technology and technical information, product plans and designs, source code and business processes disclosed by such party. However, Confidential Information of a Disclosing Party does not include any information that (i) is or becomes generally known to the public without breach of any obligation owed to the Disclosing Party; (ii) was rightfully known to the Receiving Party prior to its disclosure by the Disclosing Party without breach of any obligation owed to the Disclosing Party; (iii) is rightfully received from a third party without breach of any obligation owed to the Disclosing Party; or (iv) was independently developed by the Receiving Party without use of or reference to the Confidential Information of the Disclosing Party. Protection of Confidential Information. The Receiving Party will use the same degree of care that it uses to protect the Confidential Information of the Disclosing Party as it uses to protect the confidentiality of its own confidential information of like kind (but not less than reasonable care). The Receiving Party will (i) not use any Confidential Information of the Disclosing Party for any purpose outside the scope of these Enterprise Terms of Service, and (ii) except as otherwise authorized by the Disclosing Party in writing, only disclose Confidential Information of the Disclosing Party to those of its and its affiliates’ employees and contractors who (A) need that access for purposes consistent with these Enterprise Terms of Service and (B) have confidentiality obligations with respect to the Disclosing Party’s Confidential Information consistent with those contained herein. Neither party will disclose the terms of Order Form to any third party other than (1) its affiliates, legal counsel and accountants, or (2) in connection with a bona fide due diligence inquiry for a financing, acquisition or similar transaction, in each case subject to confidentiality obligations consistent with these Enterprise Terms of Service, without the other party’s prior written consent. A Receiving Party shall be responsible for any breaches of confidentiality obligations hereunder by any third party to whom it discloses the Disclosing Party’s Confidential Information. Notwithstanding anything to the contrary set forth herein, InVision is expressly authorized to use data regarding Customer’s use of the Enterprise Service in anonymized and aggregated form, to analyze and improve the Enterprise Service and for distribution in general benchmarking data and industry reports, provided that any reported user data is aggregated and anonymized such that no personally identifying information of Customer or its users is revealed. Compelled Disclosure. The Receiving Party may disclose Confidential Information of the Disclosing Party to the extent compelled by law, provided the Receiving Party gives the Disclosing Party prior notice of the compelled disclosure (to the extent legally permitted) and reasonable assistance, at the Disclosing Party’s cost, if the Disclosing Party wishes to contest the disclosure. Data Security. InVision shall maintain appropriate administrative, physical, and technical safeguards designed to protect the security of the Enterprise Services and Customer Data. If Customer’s use of the Enterprise Services involves processing personal data pursuant to Regulation 2016/679 (the “GDPR”) and/or transferring personal data outside the European Economic Area or Switzerland to any country not deemed by the European Commission as providing an adequate level of protection for personal data, the terms of the data processing addendum shall apply to such personal data and be incorporated into the Enterprise Terms of Service upon the Effective Date. The data processing addendum may be accessed here. InVision makes no representations concerning any Content contained in or accessed through the Enterprise Services, and InVision will not be responsible or liable for the accuracy, copyright compliance, or legality of material or Content contained in or accessed through the Enterprise Services. THE ENTERPRISE SERVICES AND CONTENT ARE PROVIDED “AS IS”, “AS AVAILABLE” AND WITHOUT WARRANTY OF ANY KIND, EXPRESS OR IMPLIED, INCLUDING, BUT NOT LIMITED TO, THE IMPLIED WARRANTIES OF TITLE, NON-INFRINGEMENT, MERCHANTABILITY AND FITNESS FOR A PARTICULAR PURPOSE, AND ANY WARRANTIES IMPLIED BY ANY COURSE OF PERFORMANCE OR USAGE OF TRADE, ALL OF WHICH ARE EXPRESSLY DISCLAIMED. INVISION, AND ITS DIRECTORS, EMPLOYEES, AGENTS, SUPPLIERS, PARTNERS AND CONTENT PROVIDERS DO NOT WARRANT THAT: (I) THE ENTERPRISE SERVICES WILL BE SECURE OR AVAILABLE AT ANY PARTICULAR TIME OR LOCATION; (II) ANY DEFECTS OR ERRORS WILL BE CORRECTED; (III) ANY CONTENT OR SOFTWARE AVAILABLE AT OR THROUGH THE ENTERPRISE SERVICES IS FREE OF VIRUSES OR OTHER HARMFUL COMPONENTS; OR (IV) THE RESULTS OF USING THE ENTERPRISE SERVICES WILL MEET CUSTOMER’S REQUIREMENTS. CUSTOMER’S USE OF THE ENTERPRISE SERVICES IS SOLELY AT CUSTOMER’S OWN RISK. Customer is solely responsible for Customer’s conduct and Customer’s data related to the Enterprise Service. Customer shall defend, indemnify, and hold harmless InVision, its affiliates and each of InVision and its affiliates’ respective employees, contractors, directors, suppliers and representatives from all liabilities, claims, and expenses, including reasonable attorneys’ fees, that arise from or relate to Customer’s use, misuse or provision of, or access to, the Enterprise Services, Content, or otherwise from Customer Data, violation of these Enterprise Terms of Service, or infringement by Customer, or any third party using Customer’s Account or identity in the Enterprise Services, of any intellectual property or other right of any person or entity. InVision will defend Customer against any claim, demand, suit or proceeding (“Claim”) made or brought against Customer by a third party alleging that Customer’s use of the Enterprise Services provided hereunder in accordance with these Enterprise Terms of Service infringes or misappropriates such third party’s intellectual property rights, and will indemnify and hold harmless Customer from any damages, attorney fees and costs finally awarded to such third parties as a result of, or for any amounts paid by InVision under a settlement of, such Claim made in accordance with the terms of this Section. The foregoing obligations do not apply with respect to any Claim based on or arising from (i) the Customer Data; (ii) the Enterprise Services or Enterprise Services or portions or components thereof (A) used not strictly in accordance with these Enterprise Terms of Service or in an environment or on a platform or with devices for which it was not designed or contemplated; (B) made in whole or in part in accordance with Customer specifications; (C) modified, altered or enhanced by a party other than InVision or (D) combined with other products, services, processes, content or materials not supplied by InVision where the alleged infringement would not have occurred without such combination. The foregoing obligations also do not apply to (E) any continuing allegedly infringing activity after being notified thereof or provided modifications that would have avoided the alleged infringement, or (F) any Claims based on or arising out of Customer’s, Customer’s Affiliates, or Customer’s Users breach of these Enterprise Terms of Service or an applicable Order Form. Any claim for indemnification under this Section 10.b. requires that Customer (i) promptly give the InVision written notice of the Claim; (ii) give InVision sole control of the defense and settlement of the Claim, and (iii) give InVision all reasonable assistance. In the event that the Content is held by a court of competent jurisdiction or reasonably believed by InVision to constitute an infringement of a third party’s intellectual property rights, InVision may at its option (a) modify the infringing portion of the Content so that it is non-infringing; (b) procure for Customer sufficient rights to continue to exercise its rights under these Enterprise Terms of Service; or (c) terminate these Enterprise Terms of Services, and/or any Order Forms and Customer’s access to the Enterprise Services. This Section represents the sole right and remedy available to Customer if the Enterprise Services or Content infringe the intellectual property rights of a third party. Limitation of Liability. EXCEPT FOR CUSTOMER’S INDEMNIFICATION OBLIGATIONS HEREUNDER, IN NO EVENT SHALL EITHER PARTY, NOR SUCH PARTY’S DIRECTORS, EMPLOYEES, AGENTS, PARTNERS, SUPPLIERS OR CONTENT PROVIDERS, BE LIABLE UNDER CONTRACT, TORT, STRICT LIABILITY, NEGLIGENCE OR ANY OTHER LEGAL OR EQUITABLE THEORY WITH RESPECT TO THE ENTERPRISE SERVICES (A) FOR ANY LOST PROFITS, DATA LOSS, COST OF PROCUREMENT OF SUBSTITUTE GOODS OR SERVICES, OR SPECIAL, INDIRECT, INCIDENTAL, PUNITIVE, COMPENSATORY OR CONSEQUENTIAL DAMAGES OF ANY KIND WHATSOEVER (HOWEVER ARISING); (B) FOR ANY BUGS, VIRUSES, TROJAN HORSES, OR THE LIKE (REGARDLESS OF THE SOURCE OF ORIGINATION); OR (C) FOR ANY DIRECT DAMAGES IN EXCESS OF (IN THE AGGREGATE) OF THE FEES PAID OR PAYABLE BY SUCH PARTY DURING THE IMMEDIATELY PREVIOUS TWELVE (12) MONTH PERIOD. Entire Agreement and Severability. These Enterprise Terms of Service (including the Order Schedules) constitute the entire agreement, and supersede all prior negotiations, understandings or agreements (oral or written), between the parties regarding the subject matter of these Enterprise Terms of Service (and all past dealing or industry custom). Any inconsistent or additional terms on any related purchase order, confirmation or similar form, even if signed by the parties hereafter, shall have no effect under these Enterprise Terms of Service. No change, consent or waiver under these Enterprise Terms of Service will be effective unless in writing and signed by the party against which enforcement is sought. The failure of either party to enforce its rights under these Enterprise Terms of Service at any time for any period will not be construed as a waiver of such rights, and the exercise of one right or remedy will not be deemed a waiver of any other right or remedy. No waiver by any party of any breach or default of any provision of these Enterprise Terms of Service by the other party shall be effective as to any other breach or default, whether of the same or any other provision and whether occurring prior to, concurrent with, or subsequent to the date of such waiver. If any provision of these Enterprise Terms of Service is determined to be illegal or unenforceable, that provision will be limited or eliminated to the minimum extent necessary so that these Enterprise Terms of Service will otherwise remain in full force and effect and enforceable. These Enterprise Terms of Service are in English only, which language shall be controlling in all respects. No version of these Enterprise Terms of Service in another language shall be binding or of any effect. Force Majeure. Neither party shall be liable for any failure to perform its obligations hereunder where such failure results from any cause beyond such party’s reasonable control, including, without limitation, mechanical, electronic or communications failure or degradation. Subcontractors. We use subcontractors to provide certain aspects of the Services and in some cases permit them to access Customer Data subject to appropriate obligations of security, confidentiality and compliance with applicable laws. We remain responsible for our subcontractors’ compliance with these Enterprise Terms of Service. Assignment. These Enterprise Terms of Service and the rights and obligations hereunder may not be assigned, in whole or in part, by either party without the other party's written consent, not to be unreasonably withheld. However, without consent, either party may assign these Enterprise Terms of Service to any successor to all or substantially all of its business or assets which concerns these Enterprise Terms of Service (whether by sale of assets or equity, merger, consolidation or otherwise). These Enterprise Terms of Service shall be binding upon, and inure to the benefit of, the successors, representatives and permitted assigns of the parties hereto. Agency. No agency, partnership, joint venture, or employment relationship is created as a result of these Enterprise Terms of Service and neither party has any authority of any kind to bind the other in any respect. Notices. Unless otherwise specified in these Enterprise Terms of Service, all notices under these Enterprise Terms of Service will be in writing and will be deemed to have been duly given when received, if personally delivered or sent by certified or registered mail, return receipt requested; when receipt is electronically confirmed, if transmitted by facsimile or e-mail; or the day after it is sent, if sent for next day delivery by recognized overnight delivery service. Electronic notices should be sent to support@invisionapp.com. Customer acknowledges and agrees that InVision may occasionally send notices to Customer regarding Customer’s Account or the Enterprise Services via email or via the Enterprise Services. Headings; Interpretation. The section and paragraph headings in these Enterprise Terms of Service are for convenience only and shall not affect their interpretation. Any use of “including” “for example” or “such as” in these Enterprise Terms of Service shall be read as being followed by “without limitation” where appropriate. Publicity. Customer hereby consents to inclusion of Customer’s name and logo in client lists that may be published as part of InVision’s marketing and promotional efforts. Governing Law. These Enterprise Terms of Service and the transactions contemplated hereby shall be governed by and construed under the law of the State of New York, without regard to conflicts of laws provisions thereof and without regard to the United Nations Convention on Contracts for the International Sale of Goods or any implementation of the Uniform Computer Information Transactions Act. Venue. Except that either party may seek equitable or similar relief from any court of competent jurisdiction, any dispute, controversy or claim arising out of or in relation to these Enterprise Terms of Service, or at law, or the breach, termination or invalidity of these Enterprise Terms of Service shall be finally settled in accordance with the arbitration rules of JAMS then in force, by one or more arbitrators appointed in accordance with said rules. Any dispute arising from or related to the subject matter of these Enterprise Terms of Service shall be resolved in New York, New York. Proceedings; Judgment. The award rendered shall be final and binding on both parties. Judgment on the award may be entered in any court of competent jurisdiction. In any action or proceeding to enforce rights under these Enterprise Terms of Service, the prevailing party shall be entitled to recover costs and attorneys’ fees. Contact. InVision can be contacted at the following address: InVisionApp Inc. at support@invisionapp.com or 41 Madison Ave, New York, NY 10010.